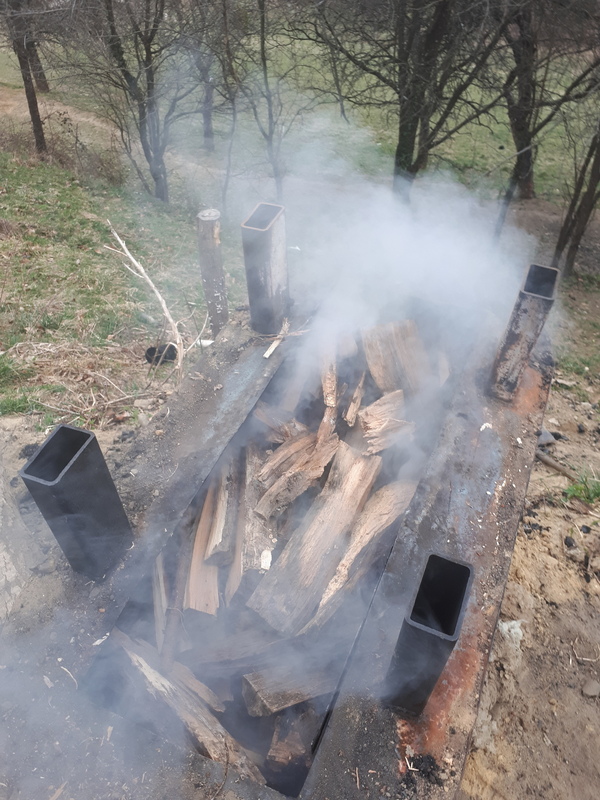 New charcoal kiln, aka "the Kursk" - General Discussion - Drive On Wood! 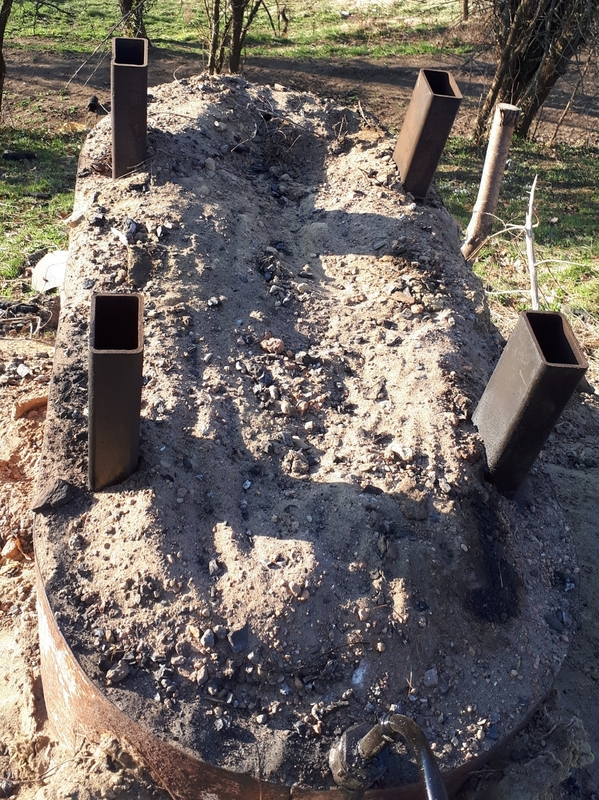 New charcoal kiln, aka "the Kursk"
Mike, yes, the kiln seems to be ok. With practice l think l will manage the gas production to be longer and less intensive. 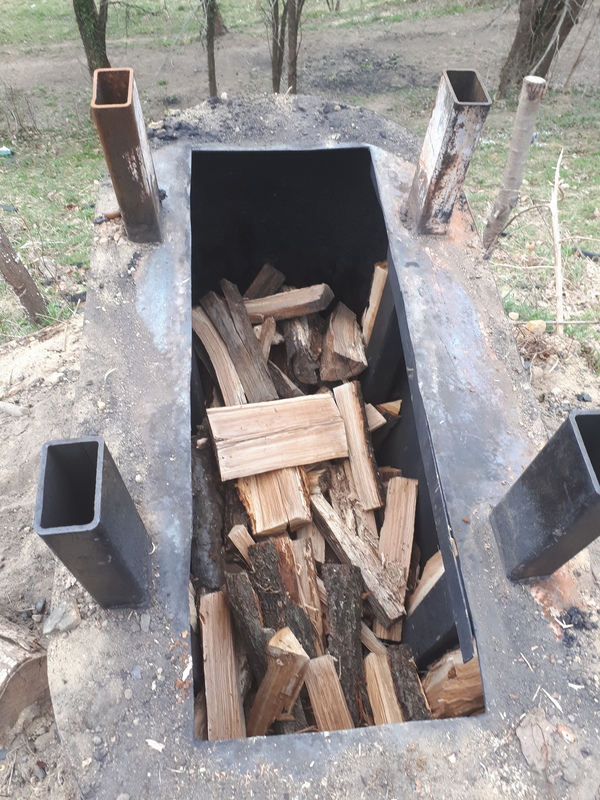 Tomorow l will try to load it with big logs and split oak firewood, to heat slowly and produce gas that has a lower caloric value (part of the wood pirolising and the core still emiting steam). Allso, l plan to condense the gas. Most burnables like tars, acetic acid and methanol will fall out, the remaining mainly CO and H2 mix will burn and heat the Kursk. Yes dual kiln wuld be nice. 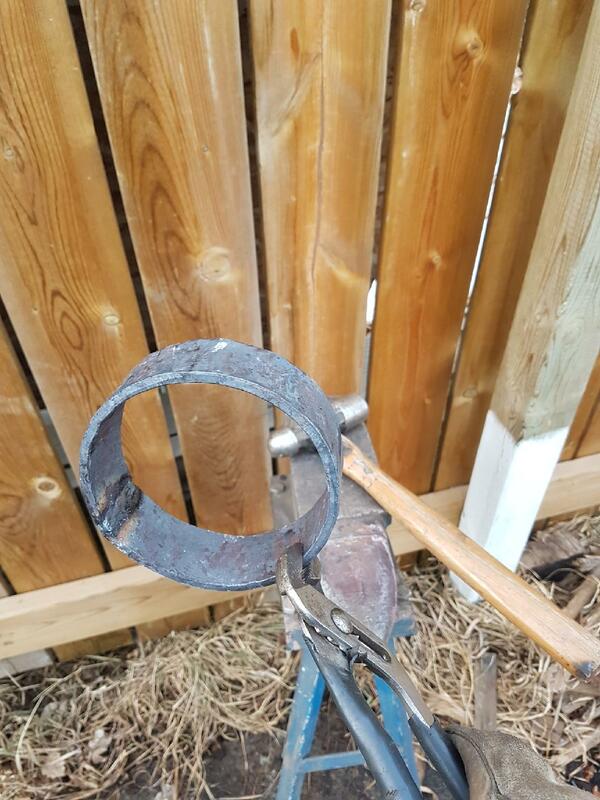 That wuld mean wery high efficiancy with ability to use green wood as feedstock. Will see. As for cuting gas, sure, detared and cooled it culd have many applications. 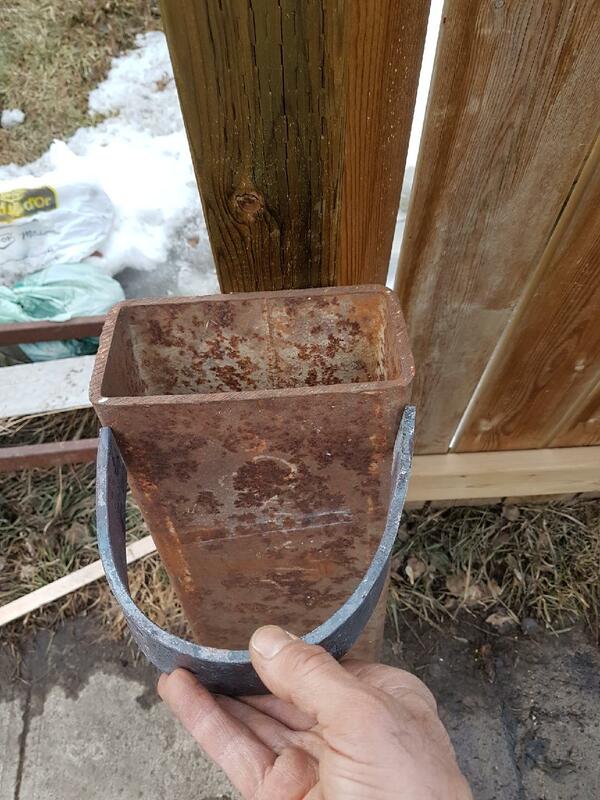 I know a guy who cut steel with woodgas/o2. He says the cuting is done with O2 anyway, the gas is just there to start the reaction of steel and oxigen. The O2 does the cutting. But, I did not think woodgas would have enough activation energy. Does he use modified tips? How much pressure? No idea, never saw the device. Empty Kursk. Note the new air shaft. Smoke on top becomes flamable. Time to cover the filling hach with sheet metal and sand. Emediatly all the gas rushes down trugh the air intake pipe. This is now plugged. 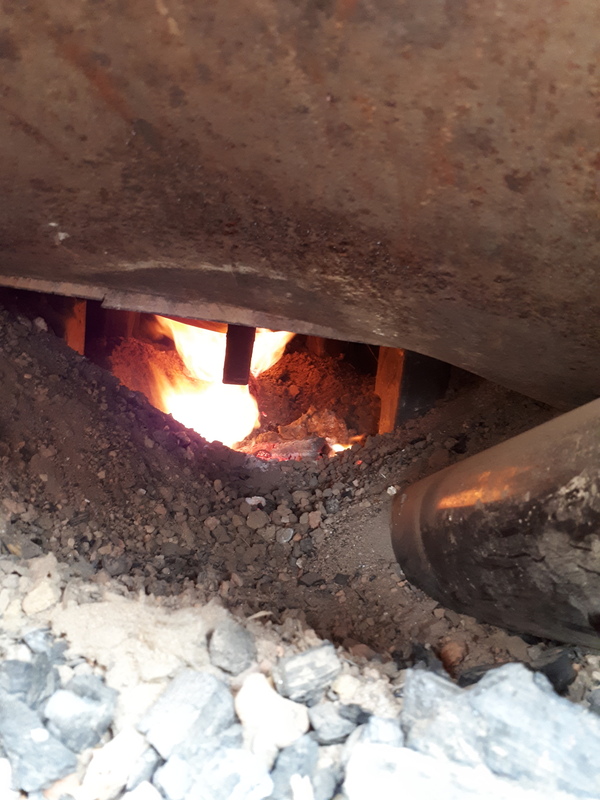 And the gas starts burning under the kiln, passes trugh the chimneys. All holes sealedwith sand and thats it. It will cook for a couple of hours then cool down and be ready for harvest. Tom, the 4 tubes are chimneys. They take the heat that is happening under the kiln and dump it in the wood. Most important component of the entire kiln. 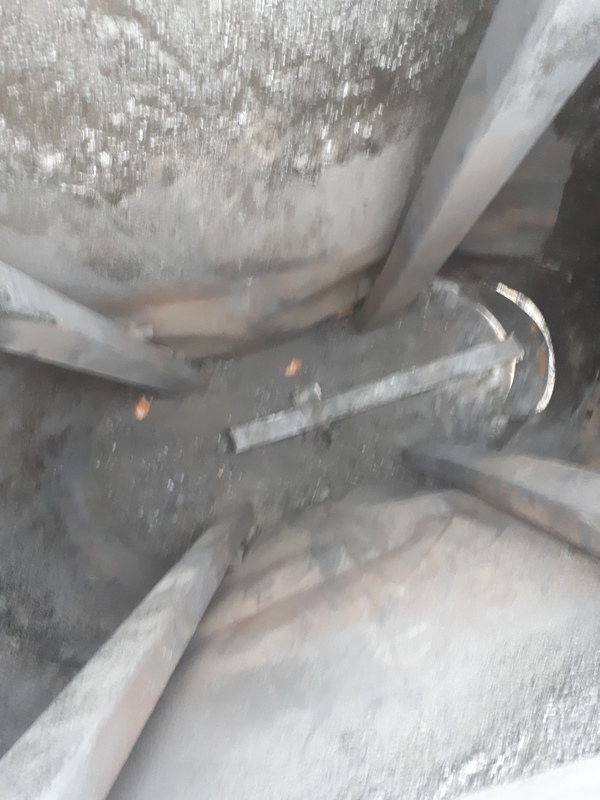 Thats a air shaft. 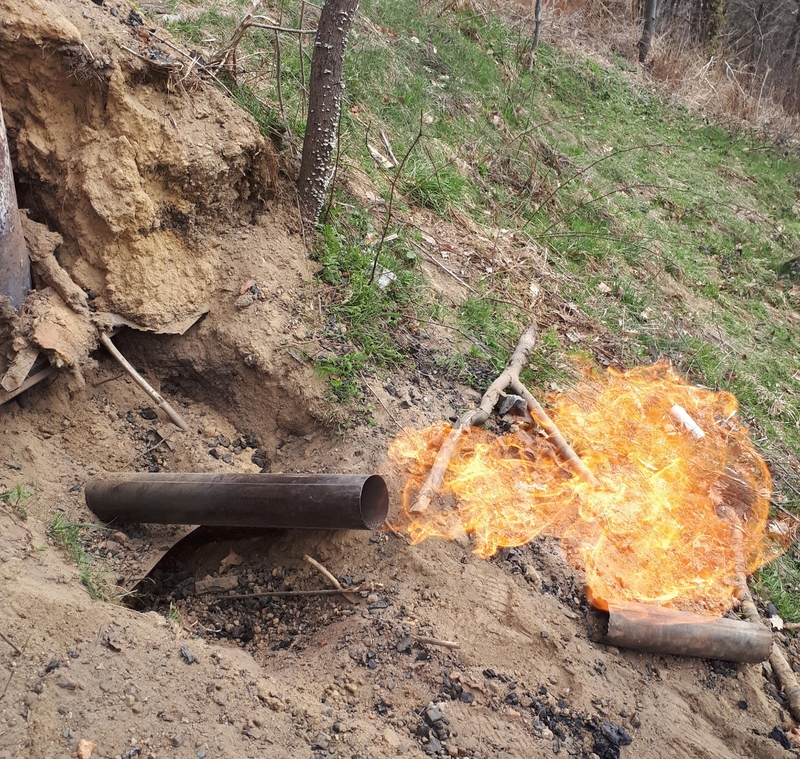 It alows air to run in the kiln till it is hot enough to sustain enough gas to keep it self burning without extra fuel. On the first picture you posted, I see what looks like buckling happening in the sidewalls of your tank? A look back through this thread leads me to surmise that your chimneys have pretty thick walls, though, right? How many times have you fired this thing up now? 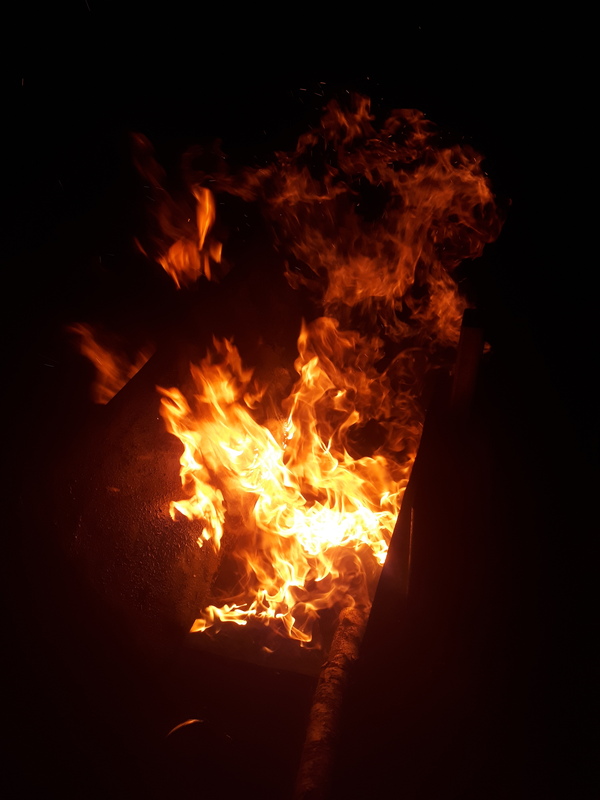 My experimenting with indirectly heated vessels full of wood led me to conclude that anything that heats the steel to red-hot will fairly quickly flake apart and develop holes, especially on thin gauge material. I will be interested to see what sort of lifespan you get, maybe the Kursk was an overly apt namesake, if I recall correctly that the submarine did not come to a happy end? 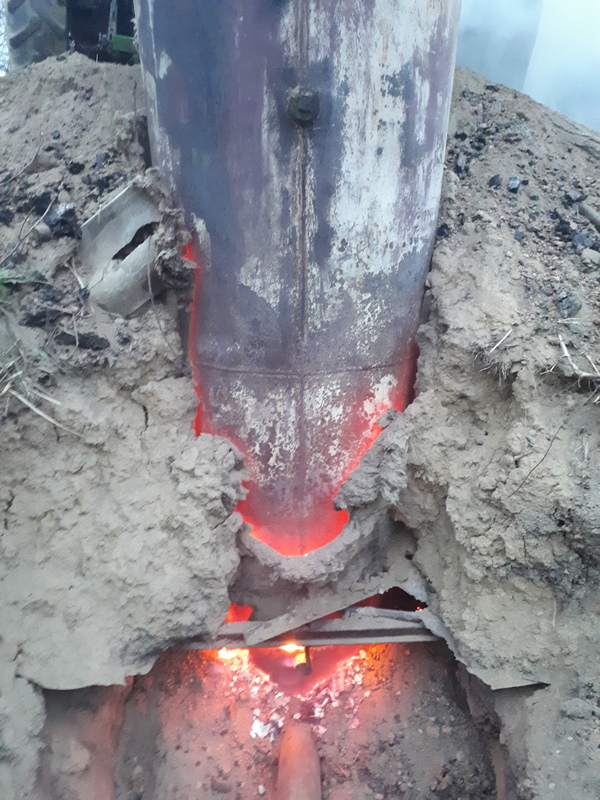 I have been experimenting with home-brewed ceramic liners, basically just a mix of clay and sand, but I am doing an open burn approach, rather than indirectly heating a closed vessel. Anyhow, charcoal making is still my favorite part of this whole adventure, so I am following your progress with great interest! Anyhow, charcoal making is still my favorite part of this whole adventure, so I am following your progress with great interest! Charcoal making is a weird obsession. Charcoal is such cool stuff with seemingly endless uses. 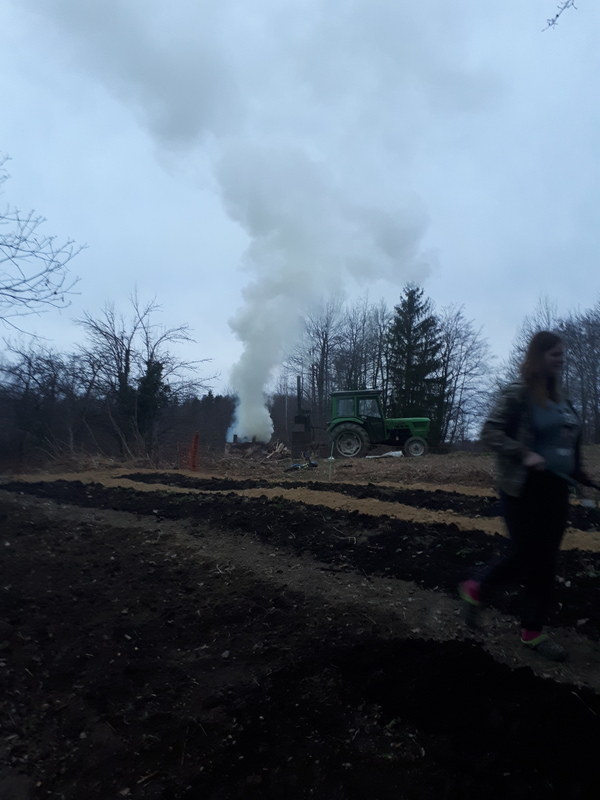 The latest read is “Burn,” (Using Fire to Cool the Earth) by Bates and Draper (2019). I can’t stop thinking about kilns and retorts. Feedstock size and moisture content, drying with solar, wood heat or pyrolysis heat, internal and external flues, insulation, moisture venting, TLUDs large and small (with and without fans), flame cap and curtain kilns, primary and secondary combustion, recirculating pyrolysis gas, daisy chain startup, wood vinegar, batch vs continuous feed, sealing and cooling. Watching youtube charcoal making, sketching new ideas and posting here drives my poor wife nuts. Carl, its absolute hell once the kiln is to temp. Yes the walls and chimneys all warped some. 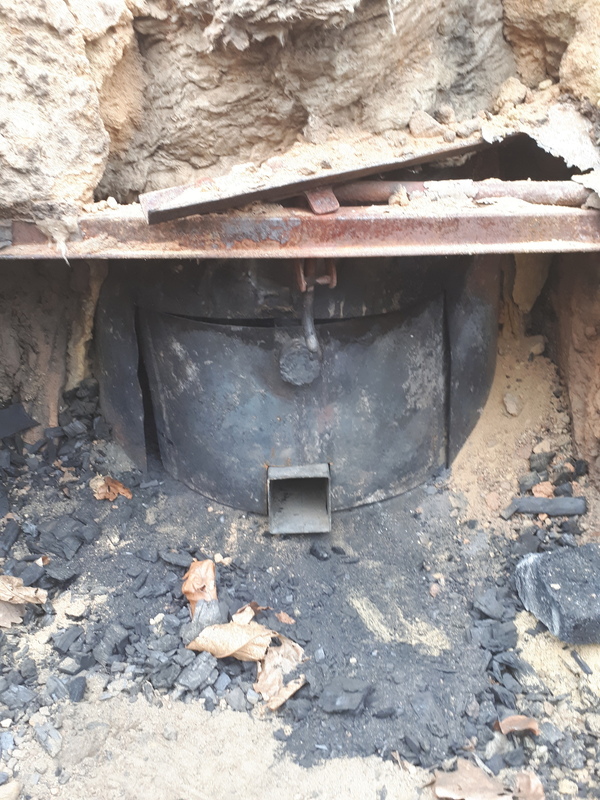 I think chimneys are 5mm and the kiln wall 3 or 4 mm steel. Hmm, maybee 10 times? Not all burns were sucsessfull. Hotter than propane… in the argos thread there was some talk about souvenirs from past events. How cool would it be to have some kind of token made out of aluminum that was melted with wood gas? 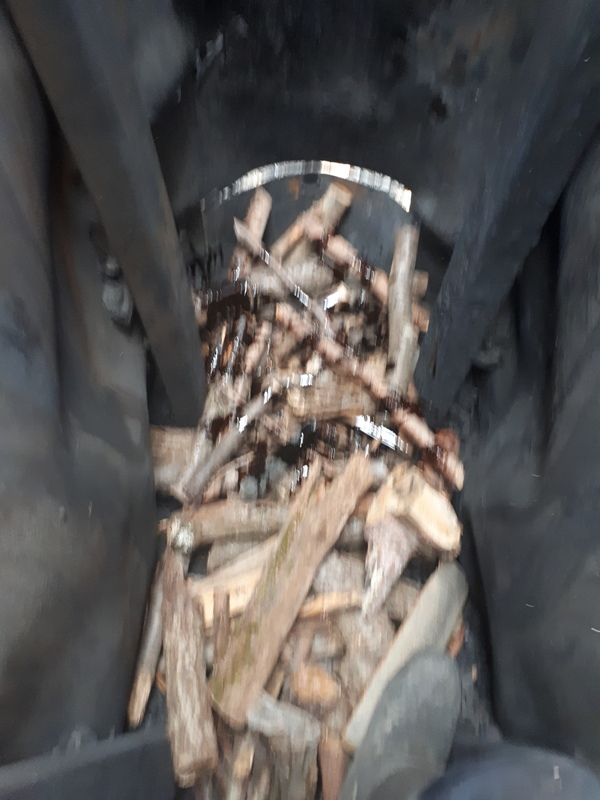 I recently gained a new appreciation of his information where he praised the quality of “ordinary garden path wood chips”, when I started using some old aged chips from my wood splitting area. They burn HOT! (I’ve been collecting sacks of them before it rains.) 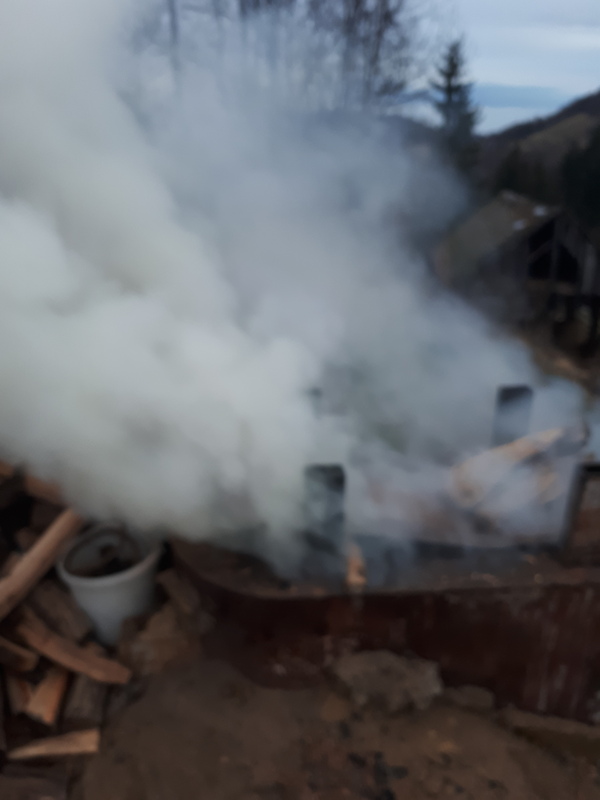 Remember to load Charcoal into the bottom portion, just as with any other gasifier. and even more on the Internet from the metal casting crowd. Thanks for those links tom. I had been thinking along those lines. I have metal casting and pattern making experience. I could make up a matchplate on the cnc. I won’t charge for this. Is that a handle for a Gingery lathe? 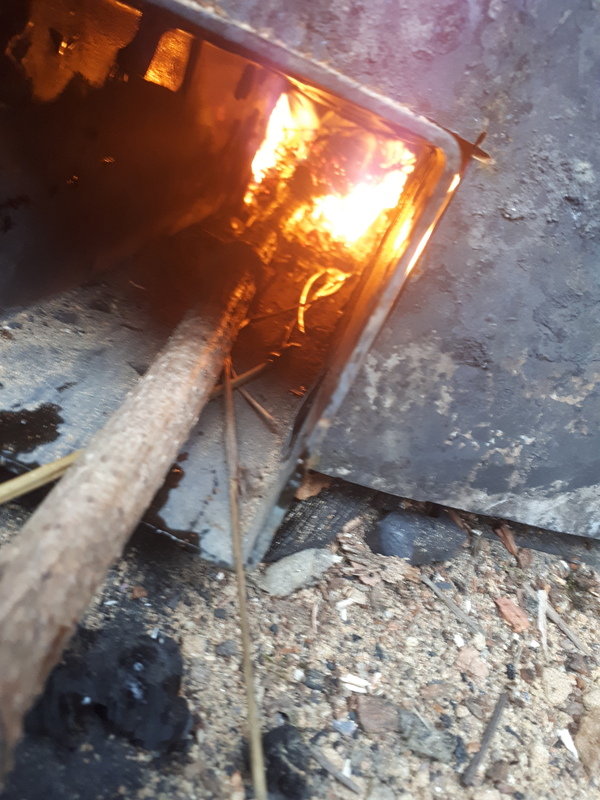 I just wanted to add to the discussion, aluminum can be melted in a pretty low tech fire, a wood stove or TLUD like the Seachar will do fine. 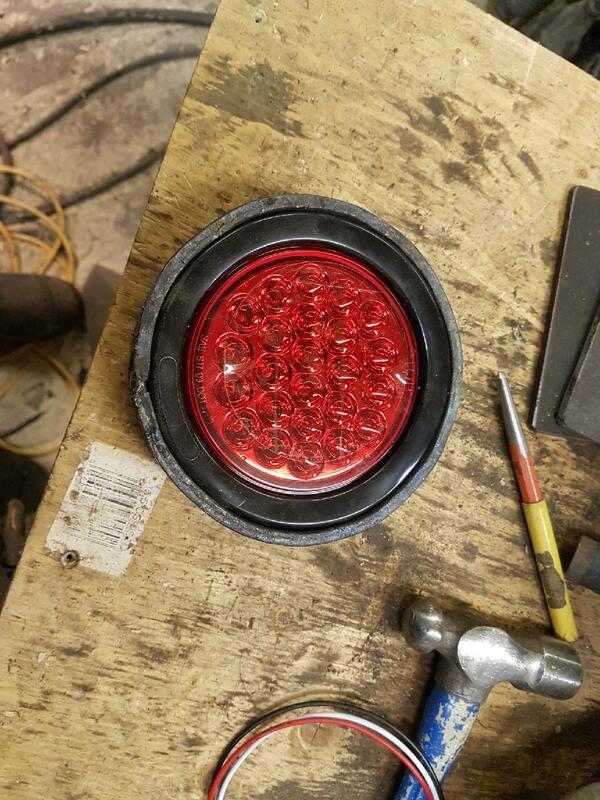 Did you mold your signal light guard? Silicone? The light is meant to press on a ring about 1/2" smaller with a vinly strip. I may make a ring to fit that, and attach with screws and glue.